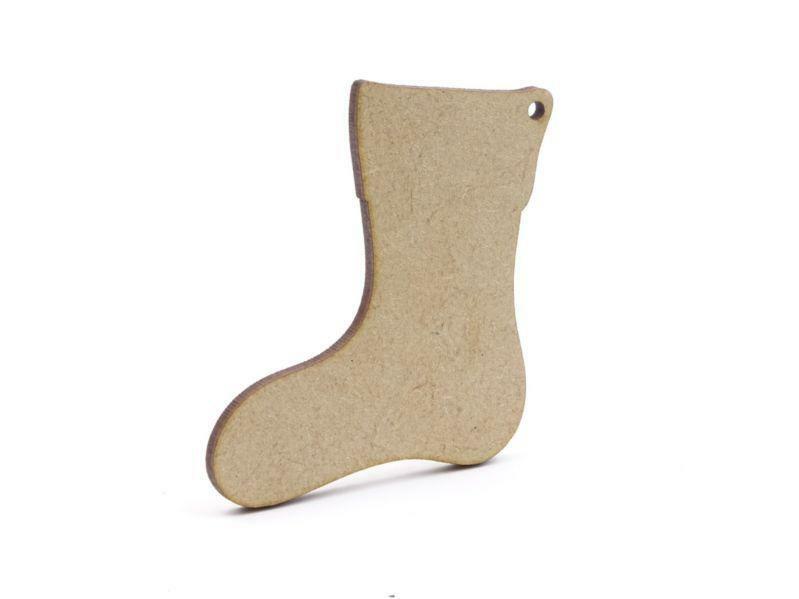 MDF Stocking Blanks ? 2 sizes available, in stock now. 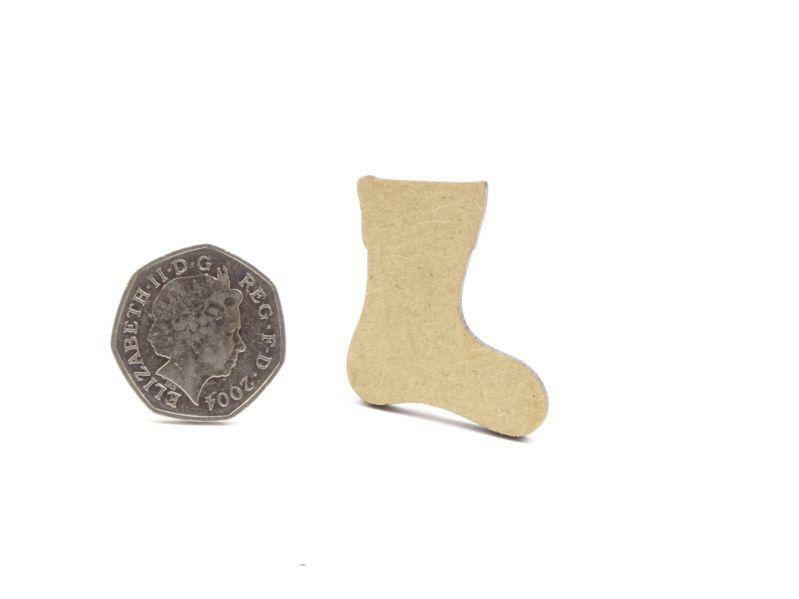 3mm thick xmas sock blank. If you would like a size not listed here or would like bulk supplies of these MDF stocking blanks, please contact us and we'll be pleased to help you. 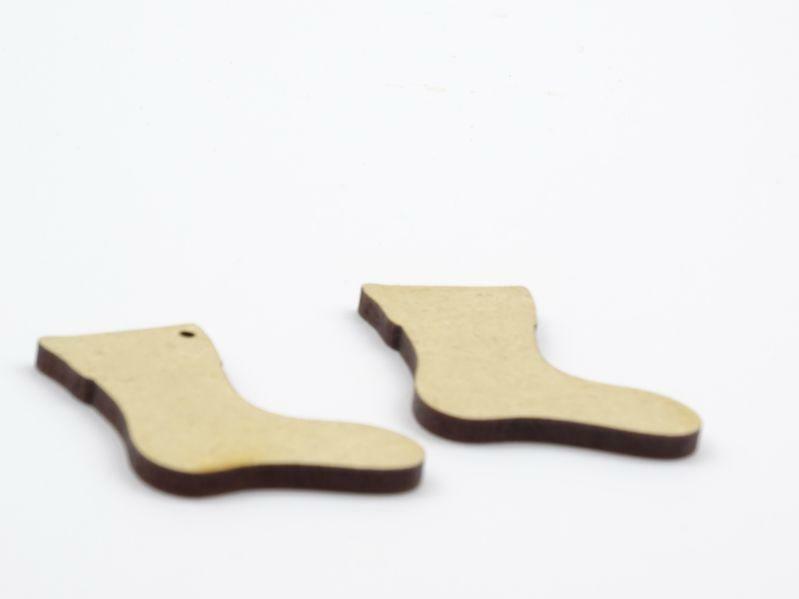 These stocking blanks are laser cut from 3mm MDF, they have a lovely smooth finish, making them easy to decorate and craft in your favourite way. They are suitable to paint, decoupage, colour in, add glitter, glitter glue, or etch a message using pyrography. 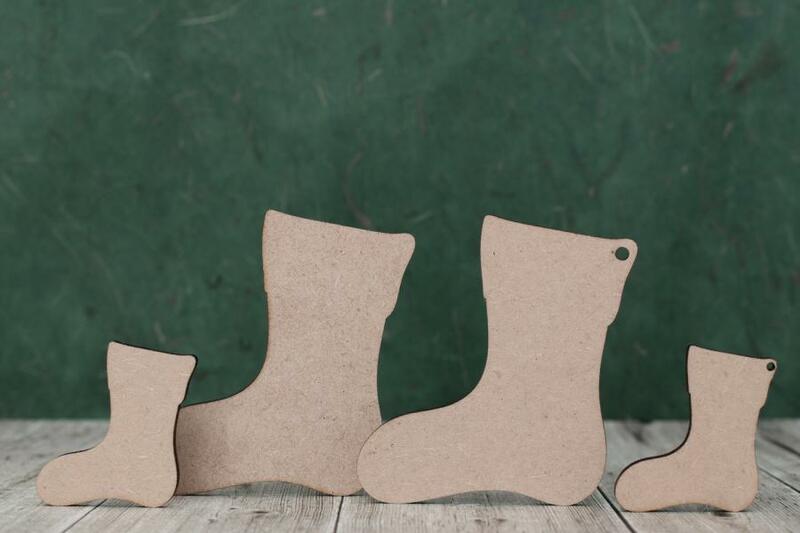 There is an option to have a hole already drilled for you, making it even easier to turn your stocking blanks into gift tags, hanging decorations, or plaques.